You can sync the MINDBODY® app with your Fitbit® activity tracker to quickly access data on your classes, appointments, and enrollments. To start, tap on your Profile icon at the bottom of screen. 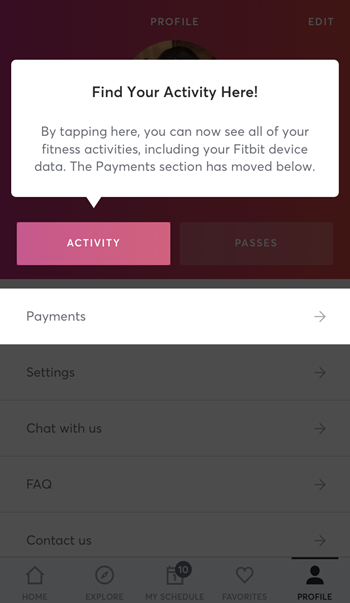 Under integrations, tap on Fitbit, then Connect Fitbit. Enter the Email and Password for your Fitbit account. This is separate from your MINDBODY app account. Choose the Fitbit details that you wish to share with the MINDBODY app, then tap Allow. After your next workout, you'll notice that your Fitbit data has automatically synced with the MINDBODY app. How do I view my step count for a class? Tap on the My Schedule icon at the bottom of your screen. Tap on History on the top right. Tap on a class you took. 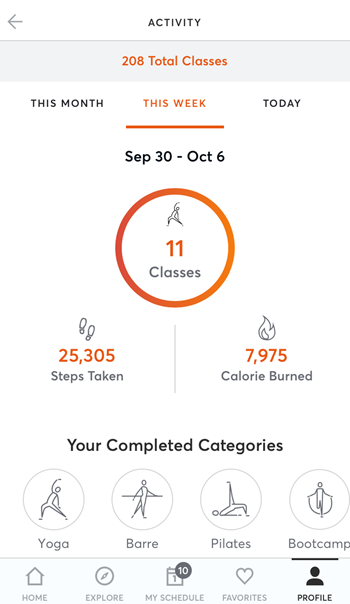 You'll see your step count in the My Activity section of the Class Detail screen. Where can I view my Fitbit stats? You can check out your stats on the Activity Dashboard, which is located in your profile. Total Classes section: You’ll see the number of classes completed within the current month, week and day along with the number of calories burned and steps taken within each timeframe. Categories section: You’ll see a list of the categories of each class completed within each time period. Month and Week BPM chart: You’ll see your heart rate zones (resting, fat burn, cardio and peak) for each time period. Note: These heart rate zones are user-specific – the height and weight data you add to your Fitbit account determines your heart rate zones, further personalizing the data you’re seeing. 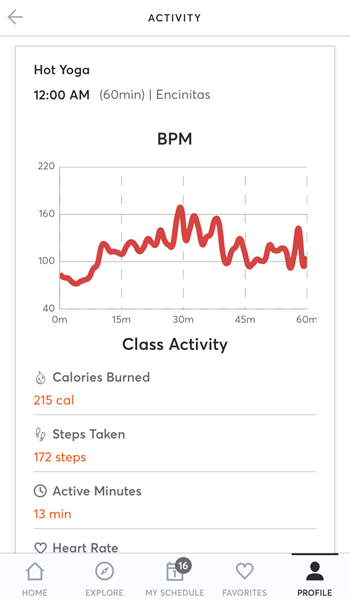 Today BPM chart: This displays your heart rate during the class you completed today, so you can easily see your heart rate changes during the course of a class. Go under the profile tab and activate notifications. This will allow you to see the Fitbit site. You are welcome to deactivate notifications after you sync. 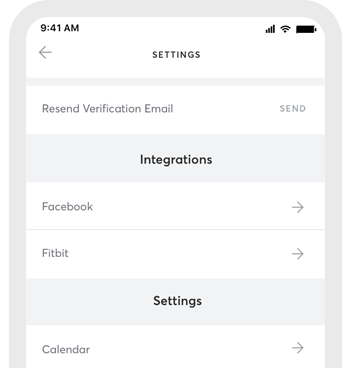 Note: If the "Connect Fitbit" button is not functional then remove the MINDBODY app off of your device, reinstall it and try connecting again.